The pilgrims visiting Vijaywada city for Krishna pushkaram are offered with an opportunity to have a joy ride on helicopter around the city. 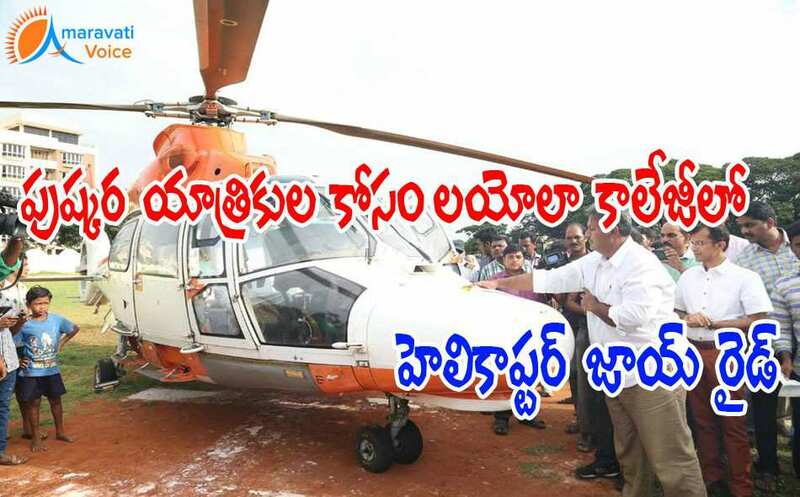 The Pawan Hans Ltd., a Government of India Enterprise in association with Andhra Pradesh Tourism and the Krishna district administration has been operating helicopter Joy rides for the pilgrims from Loyola College Ground in Vijayawada, during the 12-day river festival. The helicopter Joy Rides would be offered from 9 a.m to 5 p.m till 23rd August 2016. Tickets will be available at the Loyola College Ground Helipad. Contact nos. : 08080781319, 08689966266. The Ticket fare has been fixed at Rs 1,999/- per passenger.